Click on a title to read the entry or hide it. The Fulbright Scholar Program has selected Arnell Hinkle, executive director of CANFIT, to serve as a Fulbright specialist in public/global health for a five-year term. The Fulbright Specialist Program awards grants to US Scholars and professionals to engage in short-term, collaborative projects at institutions and universities in over 140 countries. Ms. Hinkle’s experience will be matched with an overseas host institution, where she will work on a cross-national topic that aims to strengthen institutional development needs. Through this opportunity, Arnell will work internationally with institutions that want to use her 25 years of experience educating youth, adult providers, and university students; and collaboratively strategizing effective community nutrition and physical activity solutions that take youth culture, race, culture, and socio-economic status into account. On July 31-August 3, 2012, nearly two dozen youth leaders from Food & Fitness Collaboratives across the country gathered on Thompson Island in Boston, MA to participate in the National Food & Fitness Youth Gathering. CANFIT, a nonprofit organization that works with communities to improve food and fitness environments for low-income youth of color, convened the gathering with support from the W.K. Kellogg Foundation. At the National Food & Fitness Youth Gathering, youth leaders mapped out the history of social movements, including the civil rights and women’s movements. They then reviewed their own work within the Food and Fitness Initiative and connected it to other movements on a movement map. Youth also discussed how adults sometimes tell stories about their work, rather than inviting youth to tell their own stories. They learned different communications strategies and created a Pecha Kucha-style presentation, which could be used to share their work with adults and peers in their home communities. The youth also provided direct feedback to the W.K. Kellogg Foundation regarding how to best involve youth in future programming and connect to national efforts to strengthen our food systems and built environments. The W.K. Kellogg Foundation has supported nine Food & Fitness Collaboratives since 2006. These Collaboratives have empowered communities to address their most pressing food and physical activity issues. Youth have often been a core part of these Collaboratives, and have participated in building neighborhood gardens, starting farmers markets, and creating streets that are safer for bicyclists and pedestrians. The W.K. Kellogg Foundation is proud to support emerging leaders. View inspiring moments from the Food and Fitness Youth Gathering in Boston as told through their own photos, videos, and tweets. MO Project Contest Extended to Wed. Nov 9th! MO Project is a media contest for California youth ages 13-18 that want to make a difference and see health changes in their community. Being healthy is a big deal and all youth deserve to grow up in places that support being healthy. Although that’s not always the case. Many youth across the state are working to make their school or community a safe, active or healthier place. CANFIT wants to hear DIRECTLY from YOU(th)! Are you working to improve your school food? Creating safer parks? Working in a garden? Educating your family or community about eating healthy and being more active? In 90 seconds or less, Tell us What YOU are doing to make a DIFFERENCE and WIN an iPad or other cool prizes. Check out the details. 2) If YOU were in charge or the boss, what would you change in your community, park, school, after school, streets or neighborhood to make it a safe, active and healthier place? (Examples: more physical activity in school or after school, more bike lanes, more programs for youth, eliminate junk food advertising, serve healthier food in community stores, etc). GRAB A CAMERA, TELL US YOUR MO’ STORY & WIN PRIZES! Contest is open till November 9, 2011. No purchases necessary. Contest determined by voting so once you enter the contest, tell your friends to vote now! Arnell Hinkle, the founding executive director of CANFIT (which stands for Communities, Adolescents, Nutrition, and Fitness) may be based in downtown Berkeley, but her work to improve the lives of low-income youth of color takes her across the country and around the globe. She has been involved in development projects in India, Ecuador and Scotland, and spent last year on a Fullbright public policy fellowship in Wellington, New Zealand working with Maori and Pacific Island groups. A kind of community food coach for young folk, the registered dietician who holds a masters in public health has worked as a restaurant chef, organic farmer, and as a project coordinator of the Hunger and Chronic Disease Prevention Program at the Contra Costa County Health Services Department. CANFIT was founded in 1993 as the result of a class-action suit that charged the company General Foods with fraudulent, misleading, and deceptive advertising in marketing sugary cereals to children. Initially the small nonprofit addressed concerns of teens only in California, working on policy matters such as after-school physical activity and snack guidelines for the Department of Education. Berkeley Youth Alternatives was one of the first local groups assisted by the health promotion program. California Children Missing Out on Meals During Summer Months! See Official Press Release released on June 7, 2011. California – June 7, 2011 – A new national report finds that participation in California’s Summer Nutrition Programs continues to plummet, with a drop of 65,000 children from July 2009 to July 2010. This represents a nearly 13 percent decline in participation at a time when participation in other federal nutrition programs is on the rise, according to Hunger Doesn’t Take a Vacation, the Food Research and Action Center’s (FRAC) latest look at participation in the Summer Nutrition Programs. Leaders of four leading California nonprofits attributed much of the drop-off to cuts to state and local funding for education which are causing summer schools to disappear in too many districts. And that leaves fewer sites to serve summer meals to needy children. •	State and local decision makers, advocates, and community members should look for county-specific data on summer meal participation that will be released on June 15 by California Food Policy Advocates to give a more in-depth look at what is happening across the state. The organizations that issued the call to action are: California Association of Food Banks; California Food Policy Advocates; CANFIT; and Partnership for Children and Youth. See our Call to Action e-Alert now! While participation in summer meal programs fell, participation in the National School Lunch Program rose from the 2008-2009 school year to the 2009-2010 school year, confirming the rising need for nutrition assistance among low-income families. More than 2.26 million California children relied on the School Lunch Program in 2008-2009; this number jumped to 2.36 million in the 2009-2010 school year. By comparison, only 444,372 California children took part in the Summer Nutrition Programs in July 2010 compared to 509,710 in July 2009. That means the Summer Nutrition Programs reached less than 20 percent of low-income children who ate school lunch during the regular school year. If the Summer Nutrition Programs in California were to serve just 40 out of every 100 children who participate in the School Lunch Program during the year, the state would receive an additional $33.6 million in federal nutrition funding – and help an additional 500,998 low-income children. The Summer Nutrition Programs, which include the Summer Food Service Program and the National School Lunch Program, should fill the food gap for the thousands of low-income children who rely on school breakfast and lunch during the school year to help keep hunger at bay. Through these programs, children, aged 18 and under, can receive free meals at participating summer sites at schools, parks, other public agencies, and nonprofits. After studying Geology at Princeton, Arnell went to work in kitchens, restaurants and farms from Cambridge to Martha’s Vineyard to New Hampshire, and was captivated by the earth and what nutritious and wonderful produce it could provide. She eventually went back to school at the University of California, Berkeley and got another BA, this time in Nutrition, and also received her Master’s in Public Health. It was while she was working at the Contra Costa County Health Department that a class action lawsuit was brought against a major food company. The plaintiffs, concerned parents, charged that this company was using fraudulent, misleading and deceptive advertising in marketing sugary cereals to children. Arnell had the perfect background, with hands-on work as well as policy expertise, to be tapped to structure an organization that could meet the goals of the resulting settlement agreement. These goals were to work with communities and policymakers to develop culturally resonant policies and practices to improve food and fitness environments for adolescents in low income communities and communities of color. Arnell and her team accomplish their goals by using community-based solutions. They engage youth at an early age by using cultural assessments of efficacy and collaborating with educators to help instill these values on a regular and consistent basis. The resulting organization, CANFIT, provides consulting services as well as creation and implementation of workshops for schools and other agencies that need nutritional and fitness education. CANFIT is the bridge between policy makers and the community itself. Arnell and team are often engaged in strategic planning at local, state and national levels. Much of that planning is done to prevent obesity. She has worked with the state to form physical activity guidelines and determine how best to implement them and whether they are actually feasible. While some recipients of CANFIT services are schools in the Oakland School District, where they teach afterschool educators how to promote health, nutrition and exercise, (removed but) CANFIT is no longer limited to the Bay Area. CANFIT is successfully working in many parts of California, Oregon and Washington State, in Detroit, parts of Iowa, Boston and beyond. Recently, CANFIT went international. Arnell spent most of 2010 in New Zealand as an Axford Fellowship in Public Policy. She said she is preparing “to present [her] ﬁndings to a variety of public health audiences and to officials from the Obama administration’s ‘Let’s Move’ campaign to combat childhood obesity.” She has returned from her fellowship re-energized about the importance of the role of culture in implementing community health programs, and with new cross-cultural tools and experiences. It is truly impressive what Arnell Hinkle and CANFIT are doing to target and improve the health of children all over the United States. She certainly epitomizes a winner of the Public Service award as a Princeton alumna in the Nation’s Service. Princeton is lucky to call her one of ours. Check out the CANFIT online to learn more about their programs and how you can contribute to keeping this wonderful organization fiscally sound. Ferrante II @ the Portola Hotel in Monterey, CA. Check out more info on pages 25 and 45 of the conference program. Berkeley School of Public Health and the University of California, San Francisco Division of Adolescent Medicine pointed to low-income, multiethnic adolescents as the group within the class most at risk of being affected by defendant’s alleged misleading marketing. Read more. CANFIT ED Arnell Hinkle chimes in on School Meals in SF Chronicle! It’s a smackdown on french fries and a cry for more fruits and vegetables. For the first time in 15 years, the federal government is calling for significant changes in school meals, including limiting the amount of trans fat, salt and calories in the cafeteria and increasing the produce and whole grains served. The hope is that the 32 million children who participate daily in school meal programs will have more healthful foods to chew on. The proposed rule, which would raise reimbursements to schools by 6 cents a meal, was released on Thursday, and it is being applauded by nutrition and children’s outreach groups across the country. About 17 percent of the nation’s children and adolescents are obese, according to the Centers for Disease Control and Prevention. That’s triple the rate from one generation ago. Overweight kids run the risk of high blood pressure, high cholesterol and Type 2 diabetes. “I think it’s a wonderful step and we really should be optimistic about it,” said Ann Cooper, a school food consultant and chef who helped build Berkeley Unified School District’s lauded school meal program and has been vocal about the ills of cafeteria lunches. Cooper isn’t enamored with everything in the proposed rules: “Six cents is about the price of a quarter apple” and “I’d like to see a faster crackdown on the levels of sodium we’re serving as opposed to the USDA’s proposal of (reducing it incrementally) over a 10-year period,” she said, but called the rules a move in the right direction. —A decrease in potatoes (those french fries), corn and other starchy vegetables to a maximum of one cup a week. —A gradual reduction in sodium levels over the next decade to 740 milligrams per lunch or less for high school students, 710 milligrams or less for grades six through eight and 640 milligrams or less for kindergarten through fifth grade. —Serving only unflavored milk with a 1 percent fat content or fat-free flavored or unflavored milk. —Creating calorie minimums and maximums for the first time. For lunch, the range would be 550 to 650 calories for kindergarten through fifth grade, 600 to 700 calories for sixth through eighth grades and 750 to 850 calories for high school students. —Introducing children to a wide variety of fruits and vegetables. A serving of fruit would be offered daily at breakfast and lunch and two vegetables would be available for lunch. Green and leafy vegetables, orange vegetables, beans, starchy vegetables and others must be served over the course of the week so students get one of each. —Requiring for the first time that half of the grains served be whole grains. —Serving only foods with nutrition labels that show zero grams of trans fat per serving. Alice Waters, the Berkeley restaurateur whose Chez Panisse Foundation has been instrumental in funding successful school food programs, is concerned that without an educational component, kids will wind up chucking their whole grains and broccoli. The Agriculture Department is scheduled to take public comment until April 13 on the proposal, which is part of the Healthy, Hunger-Free Kids Act of 2010, signed into law by President Obama last month. The law requires that the proposed rule be implemented in the next 18 months and state education officials will monitor the program for compliance, said USDA spokeswoman Jean Daniel. It’s not perfect, said Simms, who would have preferred that the agriculture department ban flavored milk altogether. There is debate over whether chocolate and other flavored milk is helpful or hurtful in promoting good nutrition. Arnell Hinkle, executive director of the California Adolescent Nutrition and Fitness Program, a Berkeley nonprofit that works on after-school programs, said the most important part of the changes is that they will influence good eating habits at home. U.S. Rep. George Miller, D-Martinez, also praised the proposal. CANFIT’s Executive Director, Arnell Hinkle, is featured in an issue of Leo Pasifika - News from the Ministry of Pacific Island Affairs. . In 2010, Arnell Hinkle took part in the year-long Ian Axford Public Policy Fellowship in New Zealand. Her project involved working in collaboration with Maori & Pacific people to improve ways to get health messages to their community. Read about Arnell on page 19. On May 18 and 20, 2010 the Illinois Afterschool Network brought staff from CANFIT in Berkeley, California to facilitate the Recipes for Success training in Naperville and Springfield. Ninety participants from all over Illinois came to participate in an interactive, hands-on workshop that is designed for youth providers to learn how to teach youth about healthy eating and physical activity. Right away I was blown away from the commitment of each participant to represent their community and young people they work with and share their personal experiences. Health is the cornerstone of everyone’s livelihood - without it, we are unable to function at our best. Some of the most powerful moments in the training came when participants found out how much sugar and fat is in the foods they ate and provided to the youth they serve. Many people were so shocked that they vowed never to touch their favorite foods again! By being more aware of the things we put in our bodies and we give to our youth we will be able to make healthier choices the next time the opportunity presents itself. The Recipes for Success training allowed staff leads to became more knowledgeable on what they need to do as leaders to lay out a strong foundation for the young people they work with. Laying the groundwork for healthy eating and physical activity for young people is pivotal because they model what they see. After co-facilitating both trainings, each group of leaders left me feeling inspired in a different way. At the end of the training, everyone wrote down three things they want to do to make changes in their programs. Each person had unique goals that were specific to their programs but all of the targets were the same: improve the nutrition and physical activity of the youth that they serve. Special Thanks to Curtis Peace, Executive Director and the Illinois AfterSchool Network for making our trip special and memorable. Please keep up the good work!! Sacramento, April 19, 2010 – From documentaries to spoken word, California students who designed creative ways to advocate for more safe play areas, more access to healthy food, and ‘mo,’ will be honored as “MO Project” winners by CANFIT at the California Convergence on Monday, April 19 from 11:20 a.m. to 12:40 p.m. at the Hyatt on 1209 L Street in Sacramento. The theme of the conference is “Take Action Together” and focuses on the importance of how crucial youth are to building a healthier future for California and nationally. Recently, First Lady Michelle Obama has recently launched her Let’s Move campaign which seeks to end the childhood obesity epidemic within a generation. MO Project has given youth the tools to get involved in the campaign to make positive changes in the health of their communities. Winning videos will be previewed at the awards ceremony and the Spoken Word piece will be performed live. CANFIT’s MO Project convening is an interactive, hands-on training designed for youth to use media as a way to advocate for healthy eating and physical activity changes in their community. MO Project has engaged youth in communities across the state in Merced, Chula Vista, Kettleman City, Santa Ana, Richmond, Arvin, Ceres and Long Beach through these convenings. “It’s a really great project because it brings people together and gives us a chance to sit down and discuss the issues that are really affecting our community”, Abel Pineda, Richmond, MO Project winner. MO Project was also an online media contest and social network for California teens where youth could upload videos to the contest and vote for their favorites. The MO Project was made possible, in part, by a Community Benefit grant from Kaiser Permanente Southern California and a grant from The California Endowment. •	A Day in Our Shoes-Richmond – Seven teens from Richmond High School produced this piece which spotlights the everyday hardships of young people in Richmond and the power of organizing and advocacy in communities is shown. •	Dolores Huerta Youth Foundation-Lamont – Eleven youth from Arvin High School contributed to this video which shows importance of making changes to the local park to promote physical activity. The video also demonstrates the lack of safety at a local intersection which lack sidewalks and safe places to cross the street. •	Spoken Word Poem-Merced County– An inspirational piece showing the power of youth voice. Poet: Adrian Crosby. •	Lideres y Promotores-Children’s Youth Initiative-Santa Ana – Eleven youth from Santa Ana High School, Century High School and Villa Fundamental made this video to show how youth are passing on healthy habits to younger generations and the importance of youth programs. Sacramento, CA – “Obesity threatens the healthy future of one third of all American children. Obesity rates have tripled in the past 30 years. We need to get moving.” – Michelle Obama. On Saturday, April 17th, youth ages 15-25 are meeting in Sacramento for the California Convergence conference to change the health of their communities and reduce obesity in the next generation. During the first two days of the conference entitled “Youth Taking Action,” young people from 21 communities including Oakland, Richmond, Los Angeles, Shasta and the Central Valley will take part in interactive, team-building trainings and workshops in policy education, communications, media, spoken word and advocacy. Through the work of the California Center for Civic Participation, CCROPP, Partnership for the Public’s Health and CANFIT, young leaders (who are already modeling the examples of the Governor - Governor’s Health Summit and the First Lady - LetsMove.gov), will connect with upcoming proposed legislation in Sacramento and Washington, DC. They will also research, develop and recommend their own policy priorities to improve food and physical activity environments in the state so their families and peers have healthier places to live and eat. The California Convergence provides a unique opportunity to accelerate the movement to make the environments in which people live healthier by strategically connecting existing resources, and creating an effective learning community that can take action, and share information, tools and resources across initiatives and funding streams, and ultimately create a model for the rest of the nation. The California Convergence project is aligned with the National Convergence work, and is an attempt to manifest that effort on a statewide scale. Want to add zing to your after-school snacks, while still staying healthy? With just a little planning, it’s easy to trade in prepackaged, supersized, bad-for-you treats for goodies that will take your kids’ taste buds around the world. The best part is they are inexpensive, tasty and healthy. You can slice jicama [a root with an apple-like flavor] and sprinkle it with lime juice and chili powder. Mix grated plantains [banana-like, but less sweet] with sugar. Wrap cheese, black beans and your favorite veggies in corn tortillas. Munch on edamame [soybeans], nopales [prickly pear] and chayote [a cucumber-flavored plant] for more instant and delicious snacks. CANFIT spokesperson Betty Geishirt Cantrell says, “You can tell someone it’s healthy to eat fresh fruit and vegetables, but if they aren’t accessible and affordable, they won’t be eaten.” Therefore, “For something to be useful, it must be realistic. If your culture has beans as a staple of the diet, how can they be prepared in a healthier way?” Ignoring what is readily available or more common to a particular culture is a “lost opportunity” she says. Even better for the children’s busy or frugal parents, these snacks won’t require a trip to a specialty food store. Any local grocery store or food shopping club, such as Costco, should suffice. What you end up with are inexpensive, tasty and healthy treats, typically at less than 250 calories a serving. While the ethnic snack guide is geared toward California after-school programs (CANFIT provides them firsthand with training to incorporate physical activity - such as hip-hop dance - into their programs as well as nutrition education), the ideas can spice up any family’s after-school routine. Ready to get cooking and stay healthy? Jicama with Lime Juice 1 medium jicama 2-1/2 tablespoons lime juice ¼ teaspoons chili powder salt, to taste Peel jicama and cut into sticks. Sprinkle with lime juice, chili powder and salt. Plantain cereal 2 large green plantains 3 cups water ¾ teaspoon salt 2 teaspoons sugar skim milk Peel plantains and grate coarsely. In a medium saucepan, stir together water, salt and sugar Bring to a boil. Stir in plantain and any plantain juice. Reduce heat and cook at a simmer until it is smooth (about 10 minutes), stirring occasionally. Serve with skim milk. Chili bean dip 8 ounces light or fat-free cream cheese 1 can (24 oz.) light chili 1 package shredded skim mozzarella or other low-fat cheese Spread cream cheese in the bottom of a small, glass baking dish. Spread chili over cream cheese. Sprinkle on cheese. Bake at 350 degrees for about 20 minutes or microwave on high for 3-4 minutes. Cool. Serve with baked tortilla chips. Arnell Hinkle: I grew up poor in St. Louis (Mo.) in a neighborhood where it wasn’t safe to be out playing. Our diet was a lot of meat and not a lot of vegetables, and those we had were cooked to death. (At an arts after-school program) when I was 14, I had a sandwich on wheat bread with cucumber and tomato. The taste! I loved it! It opened up the idea that there were other ways of eating. Because my mom and dad worked, I did the cooking. I learned to bake bread and I got a cookbook and tried different recipes. My family thought it was pretty bizarre but it was okay as long as I made things they liked too. I ended up going to chef school and became an organic farmer. Lloyd Nadal: We have a family history of diabetes, high cholesterol, cancer, high blood pressure. It seemed normal that people would be overweight, but that’s not right. I was overweight as a kid. My grandmother always said I had to eat two plates (of food) if I was hungry or not. It was considered a privilege to eat because my family grew up poor in the Phillipines. We ate food like adobo (chicken with a sauce) and pancit (noodles with vegetables) and crispy pata (a fried fish). Filipino food is cooked with lard so it’s often very greasy: 80% of the food is not healthy! Culturally, the thinking is if you are skinny, there is something wrong with you. Being a little overweight was the standard. In high school (before basketball and baseball games),we used to go to McDonalds before (playing basketball and baseball) games and have fries, a burger and a Coke, or go to the local taco shop. I remember feeling sluggish (afterwards). It didn’t make me feel good. I started getting into weight training and really enjoyed not just the sports, but the training. I realized how important it was to be in as good shape as possible to compete, and I loved to compete. Now I volunteer with two after-school programs and we do exercise programs and I coach basketball. I started a soda-free summer challenge and some kids have actually been successful. I am slowly but surely helping them understand the importance of good nutrition. Michelle Obama has said that her interest in childhood obesity and health began with her own family, similarly, the inspiration I draw upon for my work is deeply rooted in my own family’s relationship to food. Growing up in a lower class, single parent household my family was often presented with a dilemma all poor and working class families: little time and almost no money for food. Our options were seemingly and practically limited to fast food, and so we ate it often. Now I have been working on what I care to refer to as the food revolution, an idea that incubuses food solidarity, food systems change, health, workers, policy and leadership opportunities for urban and rural people! So, watching the First Lady’s announcement today was deeply moving! Tiki Barber, an ex-football player opened up dialogue and MCed todays events saying that we need to keep the promise of healthy lives for our children. I believe Tiki Barber was a good step in the direction of role modeling active lifestyles for youth, especially youth of color! Barber then introduced Dr. Judith Palfrey, the President of the American Academy of Pediatrics. Palfrey pointed out that 30% of American youth are obese, saying that we had a problem of abundance but also a lack of access to healthy food and physical fitness. In my work I have come to understand this as both a dichotomous problem, and a perpetuating instance in which many people have no access to healthy, culturally appropriate food and they have far too much access to unhealthy calorie rich foods. I have done extensive research around food access and food deserts and hearing the white house take hold of this vocabulary and dialogue is something I frankly was not expecting! Growing Power a Milwaukee based farm program that generates its funding through growing food for its communities while providing jobs and after school activities to community members. Will Allen spoke today bringing the aspect of growing healthy food into the picture, he pointed out that we are constantly loosing farmers and farmland and painted a nostalgic picture of a food system in which many of our grand parents, and great grand parents in my case, grew food for their local communities. Will Allen became a hero of mine at the Kellogg conference where in a room full of 400+ important people in our food movement, all with incredibly impressive resumé‘s, Will chose to sit with a table of five or so of us youth. He shared with us insight and checked into the insight we had as future leaders! I have full faith that as long as Michelle Obama and he are working together his visions and knowledge can match her action and strategy for one heck of a revolution! I try and steer clear of the nitty gritty planing, and strategizing that comes with my work as a shaper campaigns and actions (all of my fellow NGO and Non-Profiteers know what I mean). Particularly when it comes to the grass roots organizing I have done, scale has been an issue “how do we take this great local model and bring it with all its outcomes, to the larger picture?” The First Lady seemed to be all over it! Two speakers this morning, Chip Johnson and Joseph Curtatone, Mayors of Hernando Mississippi and Somerville Massachusetts respectively, gave us examples of local Governments making big impacts on their communities. The Mayors have established CSA’s, Farmers Markets, Basketball leagues, walking paths and more recreation space promoting healthy lifestyles for their community members young and old. I see Michelle and Barack Obama taking these policies national, and I am excited! Michelle Obama was introduced by 6th grader Tammy Nguyen she had worked with in planting the White House Garden! This brave young lady spoke about her own journey learning about healthy food and was a great example of what a few trips to the garden classroom can do! I too experienced the impact that growing my own food can have on my day-to-day eating habits! The First Lady’s campaign will have four pillars, the first will be increasing the number of healthy schools with a $10billion over ten years plan. The second initiative will be to increase physical activity through in school incentives and modeled behavior campaigns from popular athletes. The third portion of her campaign is going to improve food access and affordability by wiping out food desserts in the next seven years! and the fourth goal is to encourage consumers to make healthy choices for themselves and their families, an idea that heavily challenges our current culture regarding food! MoProject is currently hosting an online video contest for youth to promote health to their peers and FoodWhat has been working on peer lead cooking classes in which youth gather around the kitchen table, cook and eat together! In the end Michelle Obama said that it was not going to take “a stroke of genius or a feat of technology [to solve the obesity problem we are faced with] we already have the tools we need.” I would like to challenge all of us who are already engaged in this work to take a look at our capitol, our tools, our resources…Our YOUTH! Myself and my peers face the systemic and cultural causes of obesity everyday, therefore we have the knowledge, we know whats going on and we have profound influence over our peers. Youth are the people who are best prepared to fight this battle, so lets ignite this revolution youth and adults, as a mighty force. 10:15am | More than 50 local youths participated in a day summit to discuss leading healthy lifestyles at the Holiday Inn in downtown Long Beach over the weekend, as several organizations aimed at improving the quality of life for at-risk teens came together to learn and discuss how using new media tools can help them get involved in their communities. The event is called the MO Project, and an organization called CANFIT (Community, Adolescents, Nutrition, Fitness) holds them all over the nation to give youngsters the chance to share their stories of getting involved with the use of social media such as YouTube. Teens tell their tales of community activism, which sparks discussion among the group about the best ways to make a difference. In one video, a young lady recites a poem about the things she sees on the streets in her crime-ridden neighborhood. In another, a young man raps about the benefits of eating nutritiously. On Saturday, local youths from organizations such as Long Beach Weed & Seed, the Boys & Girls Club of Long Beach, Educated Men With Meaningful Messages and Network For A Healthy California participated. The event was significant and positive, particularly because the groups that participated typically aim to promote good decision-making and healthy living among at-risk youth. The successes of Weed & Seed as an anti-gang youth support organization that encourages volunteerism have been well documented, while Educated Men With Meaningful Messages focuses specifically on educating Southeast Asian teen males on pregnancy prevention and other community issues. Bringing all of the groups and their ideas together made for a productive day of discussion and community involvement. 8th Statewide MO Project Youth Event in Long Beach, CA. Long Beach, CA – “All children deserve to grow up in places that support being healthy.” CANFIT is partnering with Families in Good Health, Long Beach to hold the 8th statewide MO Project event in Long Beach, CA on Saturday, January 23, 2010. This project is the only one of its kind - a day where youth from all over the state can make videos and learn interactively through media how to get involved in improving the health of their community. 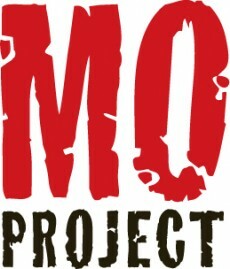 Participants can enter the MO Project contest by uploading their videos, posters or spoken word pieces to http://www.moproject.com. A total of five winners will receive either a Wii or an iPod Touch! For the “People’s Choice Award” category, youth can also vote for their favorite videos online. In the first MO Project, youth from all over the state made videos showing the everyday challenges affecting their health. The winning entries included videos about improving school lunch, creating safer sidewalks and starting a positive graffiti wall. On June 2009, 30 youth winners were honored by Assemblymember Tom Torlakson at the California Childhood Obesity Conference in Los Angeles, CA. “It’s really important to join the MO Project because it’s a fun and easy way to use videos to show what you want to change in your community and let your voice be heard,” – Julia, age 15 from Bakersfield, CA. MO Project has engaged over 500 youth in communities across the state in Merced, Chula Vista, Kettleman City, Santa Ana, Richmond, Arvin, Ceres and Long Beach. “Many of these historically underserved areas have limited access to affordable, healthy foods and safe places for physical activity. It has been truly inspiring to travel all over the state and partner with community members and youth to give them a platform to make change,” –Lloyd Nadal, CANFIT Program Director. MO PROJECT is supported by CANFIT and made possible by funding from the California Endowment and Kaiser Permanente Southern California region. CANFIT’s mission is to work with communities and policymakers to develop culturally resonant policies and practices that improve food and fitness environments for youth in low income communities and communities of color. For more info, visit http://www.canfit.org. January 2010, Berkeley, CA—Arnell J. Hinkle, RD, MPH, executive director of CANFIT, has been awarded an Ian Axford (New Zealand) Fellowship in Public Policy. Ms. Hinkle will be one of five Axford fellows based in Wellington, New Zealand from February – September 2010. Ms. Hinkle’s project, Policy Implementation for Health Equity: Examining Healthy Eating-Healthy Action(HEHA) in Maori and Pacific Communities, will determine the level of engagement of local indigenous and immigrant communities, particularly low-income communities, in the implementation of the government’s HEHA campaign, and assess the food systems and built environment of Maori and Pacific Islander communities. The resulting policy report and community case study will be disseminated in New Zealand and the United States. Established in 1995, the Axford Fellowship, administered by the Fulbright Office, New Zealand, gives outstanding American professionals the opportunity to study, travel, and gain practical experience in public policy in New Zealand. It gives the recipient fellows first-hand knowledge of economic, social and political reforms, and management of the government sector. •	To build a network of public policy experts on both sides of the Pacific, and encourage ongoing policy exchange between New Zealand and the United States. As founding executive director of CANFIT, Hinkle has received numerous grants, fellowships and awards, including a Robert Wood Johnson Community Health Leader Award (2003), and an American Public Health Association’s Mary C. Egan award (2007). She recently served as a Food and Society Policy Fellow with the Institute for Agriculture and Trade Policy. For more information on the Axford Fellowship: http://www.fulbright.org.nz/awards/am-ian-axford.html. CERES, CA – “All children deserve to grow up in places that support being healthy.” CANFIT is partnering with Stanislaus Health Services Agency and the Central California Regional Obesity Prevention Project (CCROPP) to hold the 7th statewide MO Project event in Ceres, CA on Saturday, January 9, 2010. This project is the only one of its kind - a day where youth from all over the state can make videos and learn interactively through media how to get involved in improving the health of their community. MO Project has engaged over 400+ youth in communities across the state in Merced, Chula Vista, Kettleman City, Santa Ana, Richmond, Arvin and upcoming in Ceres and Long Beach. “Many of these historically underserved areas have limited access to affordable, healthy foods and safe places for physical activity. It has been truly inspiring to travel all over the state and partner with community members and youth to give them a platform to make change,” –Lloyd Nadal, CANFIT Program Director. CANFIT’s mission is to work with communities and policymakers to develop culturally resonant policies and practices that improve food and fitness environments for youth in low income communities and communities of color. For more info, visit http://www.canfit.org . Chula Vista Youth Artist Designs for MO Project! To raise awareness and promote MO Project to youth across California, CANFIT hired Jesus Paredes, a Chula Vista youth artist and entrepreneur to design the MO Project club cards. Jesus is a recent graduate from PLATT College San Diego with a B.A. in Media Science and has been a graphic designer for 4 years in the San Diego County area. He is also a staff member of “Club TC” an after school program at Chula Vista Middle School, supported by the Healthy Eating Active Communities (HEAC) Initiative in Chula Vista. For hiring inquiries, check out his freelance business at: Matik Multimedia. 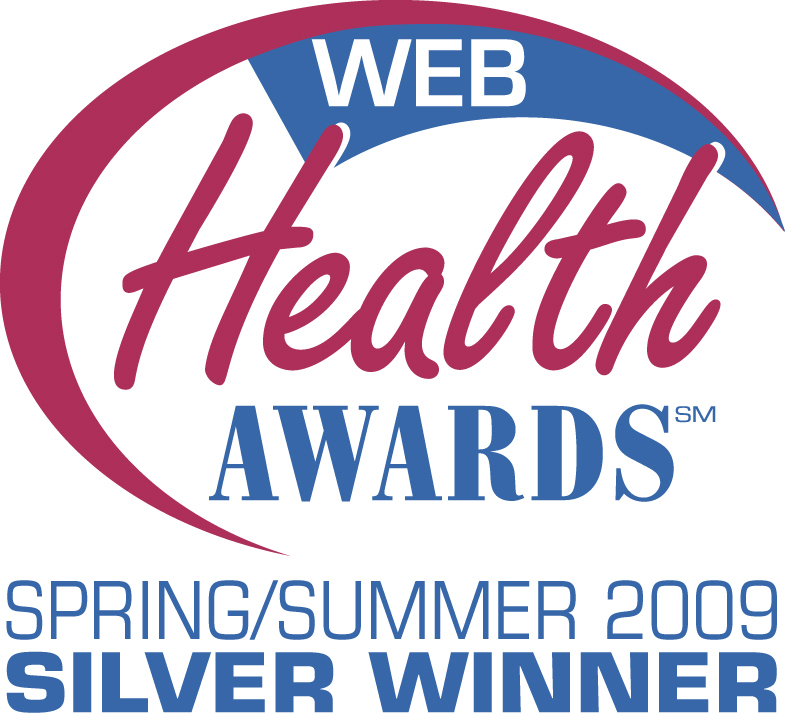 The CANFIT website wins a silver award for helping consumers stay healthy or prevent injury/disease in the Spring/Summer 2009 Web Health Awards Program. Contest entries were evaluated by a distinguished panel of judges using a rating scale of 1 to 100. Each judge evaluated entries for content, creativity and an overall assessment. The awards are given by the National Health Information Awards program. Download CANFIT resources on nutrition & physical activity for your youth program! A bi-partisan bill has been introduced in the Senate to expand access to healthy afterschool meals for school children to all states. “The MO Project gives young people an opportunity to tell their stories in their own words to state and local officials,” said Arnell Hinkle, executive director of CANFIT. “Their creativity advances the work of California youth in the California Convergence project.” The MO Project was made possible, in part, by a $100,000 Community Benefit grant from Kaiser Permanente Southern California. CANFIT’s first online multimedia contest for youth ages 13-18 drew more than 100 entries from Los Angeles, the Central Valley and the San Francisco-Bay area. •PSA - Make the Right Choice Too promotes the message that healthy foods can have long-term effects in our community. The producers are students from the Oakland area: Yen Nyguyen 15, Leme Tran 16, Deryion Gilliam 16, Christopher Gilmore 16, Juan Payne 16, Varany Lam 18, Hung Phan 17, and Kelly Truong 16, attend Oakland High School. Jeremy Lee 18, attends Laney College and Anthony Herbert 18, attends Edwards Shands Adult School. •Short Story - Menu Labeling – South Los Angeles students discuss the importance of restaurant menu labeling. The producers are students from Wallis Annenberg High School in Los Angeles: Susana Martinez 17, Henry Guandique 17, Eduardo Carbajal 18, Gustavo Mendoza 16, Juan Valdivia 16, Britanni Marie Dighero 17, Jacqueline Leiva 14, Jessica Orellana 16, Itzel Contreras 13, and Carolina “Caro” Vasquez 15. •Short Documentary - What We See in Santa Ana shows all the things students observe in Santa Ana that do not work for the community. The producers, from the Orange County area, are: Eduardo Valdez 16, Johnny Tozcano18, Irving Vilchis18, Karla Valadez 14, and Luis Gonzales 18, attend Century High School. Ernesto Sandoval 13, and Wendy Vilchis 13, attend Villa Fundamental Intermediate. Jose Rodriguez 14, attends Lathrop Intermediate School, and Carlos Rodriguez 15, attends Saddleback High School. •Spoken Word - Nutritious Poem was written for the benefit of young kids. Poet Adrian Crosby 16, attends Le Grand High School in Merced County. •Poster - Jovenes Sanos City Planning - The poster of an ideal city was designed by students from Watsonville High in Santa Cruz County: Francisco Serrano 17, Noemi Melendrez 18, Tania Guzman 17, Cynthia Lopez 17, Yette Rodriguez 17, Pedro Rodriguez 17, Brenda Jauregui 18, Xochitl Garcia 17, and Javier Vargas 17. To view the winning entries, click here. CANFIT also awarded five honorable mentions. Those winners received an American Express $50 gift card. The “We Need to Make a Change” entry was aired in a City of Bakersfield Council meeting to advocate for healthy changes in their community. View the MO Project movement on Facebook. Kaiser Permanente’s Community Benefit program is committed to improving the health of the communities we serve and reducing health disparities through community partnerships with the safety net of community clinics, public health departments, public hospitals, and other agencies. Community Benefit also helps increase access to quality health care and coverage, regardless of income, through our charity care and charitable coverage programs; supports community groups to inspire people to make positive changes for health through our Health Eating Active Living programs and Community Health Initiatives; and shares our medical knowledge, expertise, and research to help Southern California people live healthier lives. For more info, visit http://www.kaiserpermanente.org. Founded in 1993, CANFIT, a nonprofit, works with communities and policymakers to develop culturally resonant policies and practices that improve food and fitness environments for adolescents in low income communities and communities of color. Physical activity is known to be an important part of maintaining a healthy lifestyle, yet it is often absent from policies and programs aimed at improving the health and wellness of youth. Although there are recommendations for physical activity and physical education during the school day in California, many schools lack the resources and infrastructure to provide such programming. After school and other community-based programs are therefore in a significant position to help youth get the daily physical activity they need. Most of the work to improve physical activity environments for youth has focused on school environments. Yet youth spend a significant portion of their time in out-of-school or after school environments. Particularly in low income or underserved communities, middle and high school youth often feel alienated from the public school system and relate better to neighborhood, community-based organizations and institutions. Little has been done to examine the neighborhood structures that are already serving youth and assess how they might become engaged in community health initiatives that strengthen or expand physical activity opportunities for young people. To fill this need, CANFIT created the Youth Activity Policy Project (YAP). The goal of the YAP Project is to increase physical activity opportunities for low income and underserved youth. As a first step, the project conducted a strategic policy analysis of youth serving community-based organizations in northern California. This analysis examined the policy and resource levers needed to improve youth-serving organizations’ capacity to provide physical activity opportunities for low income youth. The YAP Project was generously funded by Kaiser Permanente, Northern California Region’s Healthy Eating Active Living Initiative. Physical activity is known to be an important part of maintaining a healthy lifestyle, but policies and programs aimed at improving the health and wellness of youth often overlook the importance of physical activity in their lives. Compounding the situation, many schools lack the resources and infrastructure to meet recommendations for daily physical activity and physical education during the school day. This brief describes the landscape of physical activity for youth in California today. Download the brief today! School is back in session, and parents are once again contemplating the age old-old question: What to pack for lunch? With food prices soaring and the economy on the skids, it’s not easy coming up with meals that are inexpensive, yet nutritious and delicious. “Because kids consume 35 to 50 percent of their daily calories at school”, says Juliet Sims of Prevention Institute, a nonprofit Oakland group dedicated to preserving community health, “it’s important to make good choices.” Read the entire article here. This article was featured on Network for Good’s website. Want to add zing to your after-school snacks, while still staying healthy? Go multi-cultural! With just a little planning, it’s easy to trade in prepackaged, supersized, bad-for-you treats for goodies that will take your kids’ taste buds around the world. The best part is they are inexpensive, tasty and healthy. With just a little planning, it’s easy to trade in prepackaged, supersized, bad-for-you treats for goodies that will take your kids’ taste buds around the world. The best part is they are inexpensive, tasty and healthy. Read the entire article here. CANFIT Executive Director, Arnell Hinkle, has been awarded the American Public Health Association (APHA), Food and Nutrition Section, Mary C. Egan Award. This award honors public health professionals who have served as members in the area of public health nutrition and contributed to improving nutrition among low income and underserved populations. The award was presented at the APHA annual meeting held in Washington, D.C., November 3, 2007. With the implementation of Proposition 49, the legislation that created the After School Education and Safety (ASES) program, the number of state-funded after school programs in the state has nearly doubled. This policy brief explores the landscape of after school in the state, including the differences between programs run by local education agencies and those run by community-based programs, and how programs are implementing physical activity and nutrition components. The brief also highlights how The California Endowment’s Healthy Eating and Active Communities are helping to shape the movement toward intentional physical activity and nutrition in after school, and it provides recommendations for communities interested in expanding after school opportunities to promote healthy lifestyles. SAN FRANCISCO — Form and function were never this mutually inclusive. For 13 years, Pistahan Parade and Festival has showcased the best of Filipino American arts and culture. This year the much-awaited annual open-to-the-public FilAm festival in San Francisco will unveil yet another feature to draw the community from 10 a.m.- 5 p.m., Saturday, August 11 and Sunday, August 12. Call it the art of health, because staying well does take creativity and skill. Like learning about illnesses now found pervasive in the Filipino and Asian communities. Understanding that these ailments can be deterred with timely interventions, such as altering diets and lifestyles. Acknowledging that prevention is still the secret to longevity. That education is the best form of prevention. is a collaboration of community organizers and cultural activists including Braulio Agudelo, Christine Padilla, Cyril Sola, Edward Aquitania, Fay Olylmpia, Florence Mendoza, George Bauto, Gerard Talampas, Jun Galicha, Kai Delen-Briones, Paule Tenchavez, Pearl Parmelee, Richard Mendoza, Rita Rodriguez and Rudy Asercion. CANFit and MEE Productions collaborated on a new workshop series that focuses on addressing healthy eating and increased physical activity among urban, African-American and Latino youth populations. These communications workshops present information in a way that can be immediately applied directly with children, teens and their parents in real-world scenarios. After successful events in Washington, D.C. and Philadelphia, the workshop traveled to Los Angeles in June 2007. CANFIT was awarded a Gold Rating based on an evaluation by the Cooper Institute and the Michael and Susan Dell Foundation as part of their Children’s Healthy Bodies Initiative. Of over 300 programs initially contacted, CANFIT was one of only 47 that received the highest award, a Gold Rating. Programs were objectively scored in four categories: program design, evaluation, implementation and dissemination. CANFITis very proud to have been recognized as a program having the greatest potential to help reduce childhood obesity. CANFIT has been named the technical support provider for after school programs participating in The California Endowment’s four-year Healthy Eating, Active Communities (HEAC) Initiative. Six collaboratives have been funded in predominantly low income, urban and rural communities across California. The objectives of the Healthy Eating, Active Communities Initiative are to improve the food and physical activity environments for school-age children and to create momentum for widespread changes in the policies and practices that contribute to the rising rates of childhood obesity. CANFIT partnered with the California School-Age Consortium (CalSAC) to host the National Middle School Conference at the Cathedral Hill Hotel in San Francisco on November 3-6, 2004. The conference was an enormous success with nearly 450 participants representing 28 states and three countries from Park & Recreation Departments, CBOs, schools, and other agencies! The event was sponsored by the California Endowment, Health Net, Stonyfield Farm, L.A. Care Health Plan and ESPN Play Your Way. Literacy for Environmental Justice (http://www.lejyouth.org) is creating access to healthy food in one of San Francisco’s most underserved communities. Bayview Hunters Point is home to over 30,000 people and the closest supermarket is up to three bus rides away for some residents. The Good Neighbor Program works with local merchants (mostly corner stores) to provide them with city and private incentives to carry healthy food. The Good Neighbor Program grew out of Youth Envision, a group of youth who work as advocates for healthy food in their community. Clubs are fast becoming one of the most effective environments for extended opportunities to promote healthy and nutritional eating. Many are establishing new and fun ways to engage and improve the physical health of young people and adults as well as proving to be effective agents in tackling issues of social inclusion and academic underachievement. ContinYou has been recognized as pioneers in supporting schools and communities through a range of initiatives that have raised the profile, increased the effectiveness and measured the impact of breakfast provision. As one of the leading educational charities in the United Kingdom with a network of over 11,000 schools, it has worked to develop the breakfast club culture in partnership with Kellogg’s. For more information, visit http://www.continyou.org.uk. Raquel Bournhbonesque presented on Community Food Assessments (CFA). A CFA is a participatory and collaborative process that examines a broad range of food-related issues and assets in order to improve the community’s food system. Through such assessments, a diverse group of stakeholders work together to research their local food system, strategically communicate their findings, and implement changes based on their findings. Heather Fenney with the California Food and Justice Coalition offered an introduction to farm-to-school programs along with steps to take to start a program. Farm-to-school programs supply school food service with fresh produce from local farmers, model nutrition education in the cafeteria and offer students experiential learning opportunities around nutrition and agriculture.Raquel presented on the use of school-based CFAs as a tool in developing school nutrition policies. Heather presented on the potential for farm-to-school programs to meet the multiple nutrition related goals that a school may outline in their policy. For more information about the California Food and Justice Coalition go to: http://www.foodsecurity.org/california. CANFIT’s 10th Anniversary Gala event “WE CANFIT” was held on October 9, 2003 at the Oakland Museum of California. View photos from the event here. Thank you to our Sponsors and Supporters! View the list here. In 2003, CANFIT’s “Promoting Healthy Activities Together (P.H.A.T.) Campaign (which uses hip-hop culture to promote a healthy lifestyle among youth) was honored with the 6th Annual Dannon Institute Award For Excellence In Community Nutrition. For the second time, In 2002, CANFIT was honored by the Dannon Institute for its manual made in conjunction with the 100 Black Men of America mentoring program. Read the press release here. CANFIT’s Executive Director, Arnell Hinkle, received the coveted Robert Wood Johnson Community Health Leadership Program award in 2003. This program awards individuals who have overcome significant challenges to expand access to health care and social services to under served members of their communities. View the Press Release. The third annual Native American surf gathering drew nearly 100 children ages 9-18 from reservations across San Diego County. CANFIT supported the camp for its fitness benefits and cultural elements and for providing a fun way for Native American youth to be active. Read the full article here. Black Men of America, Inc. (the “100”), a national volunteer organization for professional African American men, to develop a nutrition and physical activity component to the “100’s” preexisting mentoring program. The goal of the project was to improve the health status of 11-18-year-old African American males participating in the Mentoring the 100 Way program.